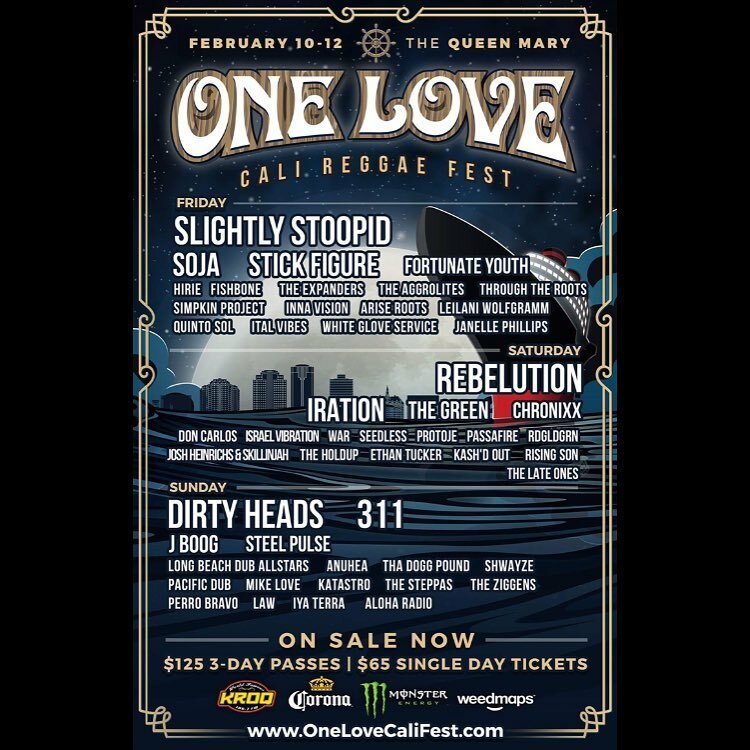 One Love Cali Reggae Fest, California’s biggest reggae festival, has announced its final lineup additions and created quite the anticipation for the beloved fest taking place on The Queen Mary in Long Beach, February 10th-12th. The 2017 lineup boasts so many amazing names, we cannot even list them all. 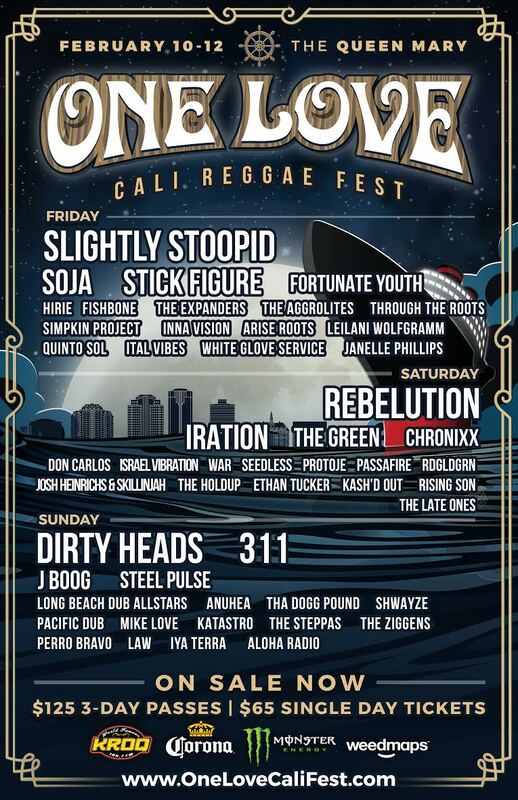 For the first time for three days, One Love brings 311, Slightly Stoopid, Dirty Heads, SOJA, Rebelution, Don Carlos, Seedless, Fishbone, Iration, Passaire, Chronixx, J Boog, Long Beach Dub Allstars, Mike Love, Law and so many more to Long Beach. Last year’s festival sold out, so eager attendees can expect the same to happen this year. Tickets are on sale now and are offered on different tiers of 3-day, VIP, Legend VIP and more. Check out all the options here and make sure to snag those passes sooner rather than later (before they are all gone!). We created a dope Spotify playlist to jam every minute of everyday until February 10th rolls on- make sure to shuffle it up. Bang your favorites, discover some new ones and we will see you on the ship!